Our journey began in 1990 with a cross-country trip that involved extensive research in the green-living industy. A year later we launched our mail order catalog and offered sustainable, healthy home products to happy customers across America. Tomorrow's World was one of the nation's first green stores featuring everything from low-flow showerheads and energy efficient lightbulbs to organic cotton clothing, bedding and mattresses... shipped direct to the consumer. In 2001, when mainstream stores began to offer safer eco choices, such as lightbulbs and cleaners, "Tomorrow's World" became the Organic Comfort Zone and shifted our primary focus on the bedroom specializing in the design and manufacture of high-quality organic sleep products. CozyPure速 is our exclusive brand of classic and sophisticated organic bedding and mattresses. We're passionate about sleep, handcrafted by American artisans in our Norfolk Virginia workshop. With over 25 years of experience in the green-living industry we're still committed to using sustainable, natural, eco-organic materials to provide our customers with a natural, safe bedroom. June 1994. 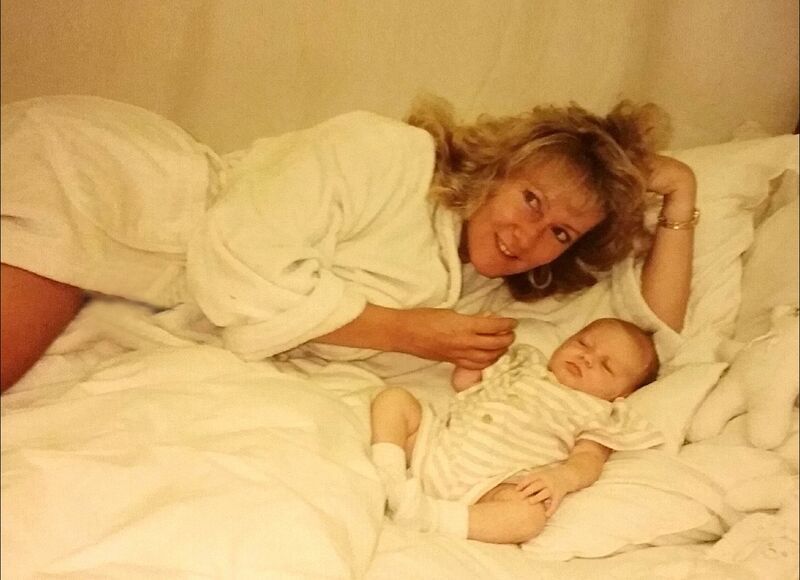 Cheryl with daughter Madison. 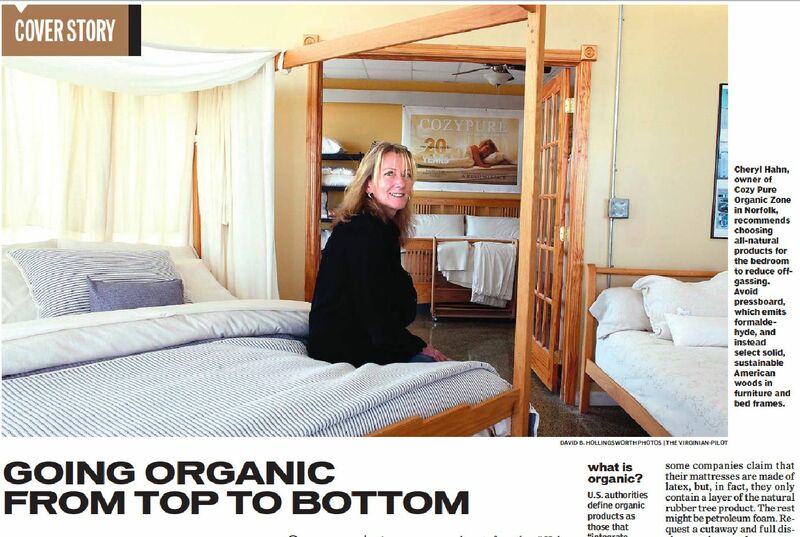 Virginian-Pilot photoshoot for organic bedding. Unlike most "mattress marketeers" we really are the makers of our sleep products. We make it. You save it. Skip the middleman marketing.